Once your college financial aid application has been processed, you will receive an award letter detailing how much assistance you qualify to receive. The award is based on the expected cost of education for the academic year and your expected family contribution (EFC), which is based on the state of your finances (and that of your parents if you are a dependent student) at the time you submitted your Free Application for Federal Student Aid (FAFSA). If your circumstances have changed since the time your FAFSA was filed and you need to request more assistance, you can submit an appeal letter requesting additional funds. If you need to write an appeal letter, you may find it beneficial to use the sample provided here as a starting point. You will need to fill in the letter with information specific to your situation, but the basic format of this example is a good place to begin. To access the template, simply click the document's image. 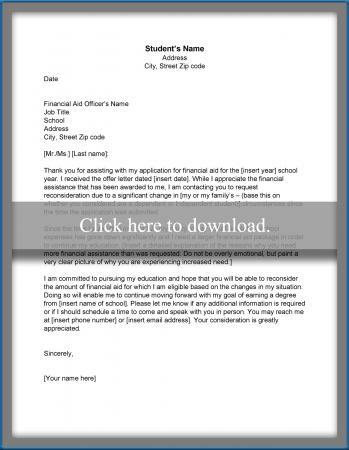 The sample letter will open as a separate PDF document that you can customize to suit your purposes. Click anywhere in the letter to edit using your keyboard and use the 'Save' and 'Print' commands from the file menu when the necessary adjustments have been made. The fact that you submit an appeal letter does not necessarily mean that your request will be approved. 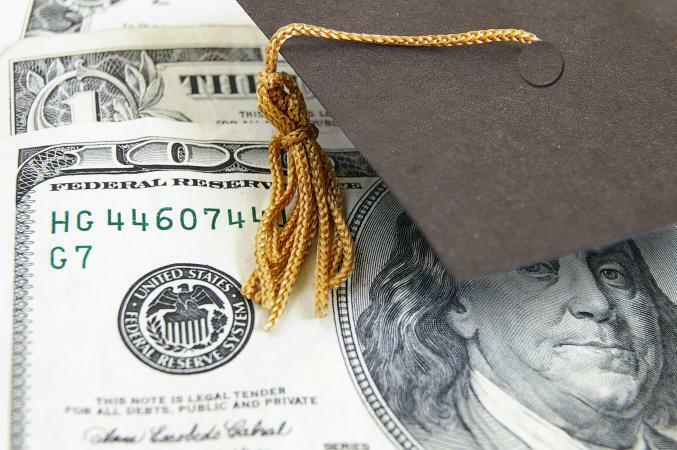 You will need to be able to make a convincing case in your letter, clearly demonstrating that your situation has changed drastically since your FAFSA was submitted - and to what extent. If it is even possible for the school to entertain your request, you will likely be required to submit proof to back up the reasons you give for the changes in your circumstances. To increase your chances of being considered for approval, submit your letter as soon as you become aware of the need to ask for additional funding. Before sending the letter in, call the school's financial aid office and verify to whom who the letter should be addressed and the best way to submit your request (i.e., by mail, in person, via email, etc.). This will ensure that your request is processed as quickly as possible.